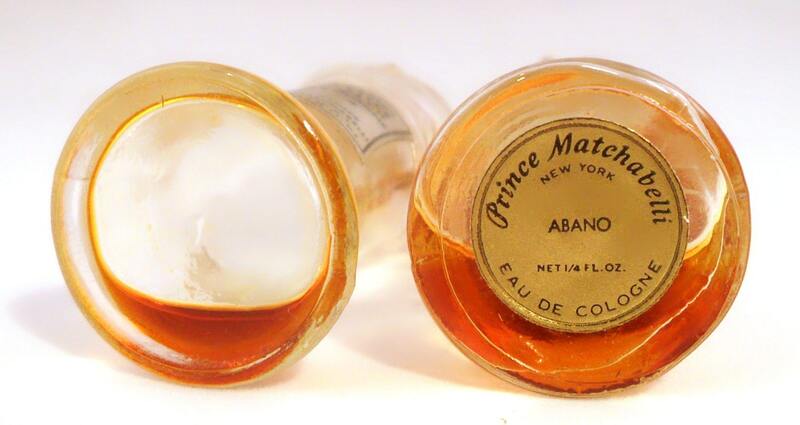 Pair Vintage 1950s-1960s Abano by Prince Matchabelli 1/8 oz Cologne Splashes in figural Sceptre Bottle. No boxes. 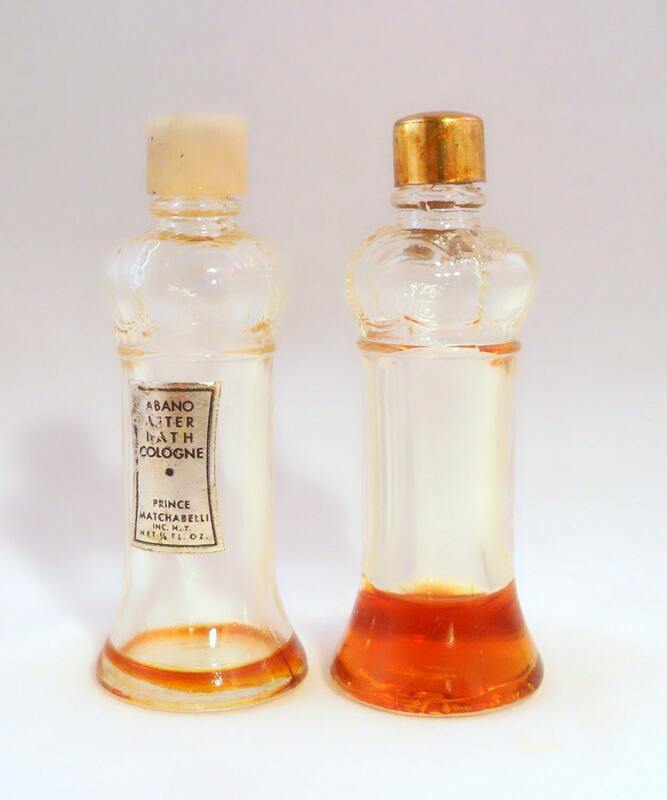 One bottle is about 20% full of the original perfume, the other is empty with just a tiny amount of perfume residue inside. The bottles stand 2 1/2" tall x 1" diameter. They are topped by a plastic screw caps with embedded confetti. These bottles were made by Swindell Bros. The perfume is old and no longer fresh, it smells turned to me and is not wearable in my opinion. Abano was launched in 1931. This perfume has been discontinued since the late 1970s. So what does it smell like? 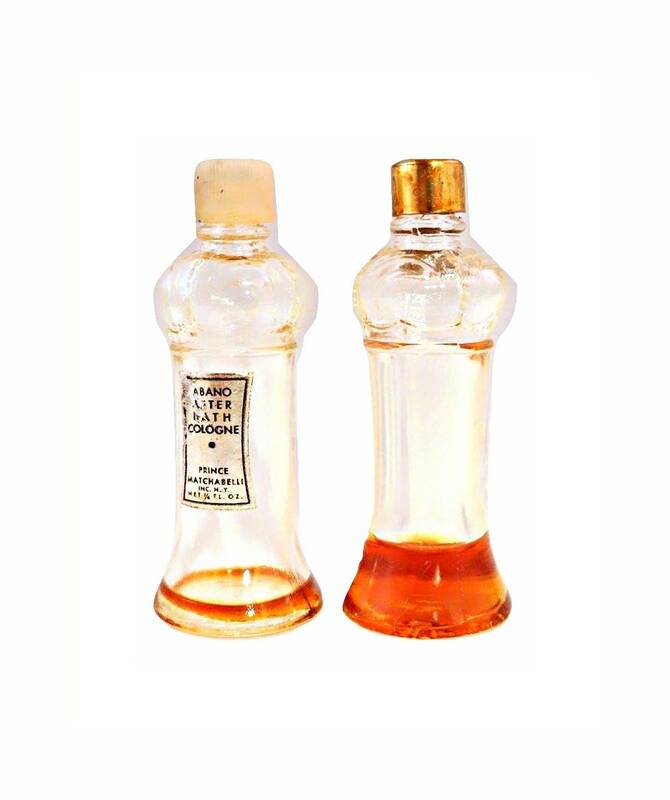 It was classified as an oriental fragrance for women with a chypre base.